Kyidramte or Kyiv Drama Theater. 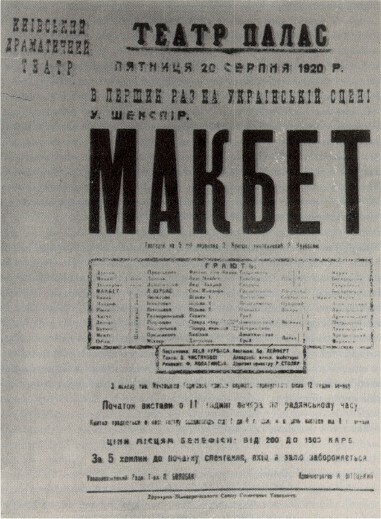 An experimental theater company formed by Les Kurbas in May 1920 from among the members of the Shevchenko First Theater of the Ukrainian Soviet Republic, who left the latter as a result of artistic differences with the director, Oleksander Zaharov. Kyidramte's 36 members included Kurbas, Danylo Antonovych, Hanna Babiivna, L. Boloban, Yanuraii Bortnyk, Vasyl Vasylko, Liubov Hakkebush, Pavlo Dolyna, P. Haivoronsky, Hnat Ihnatovych, Volodymyr Kalyn, Favst Lopatynsky, Ryta Neshchadymenko, Antonina Smereka, Valentyna Chystiakova, S. Levchenko, K. Hrai, O. Lypkivsky, and Leonid Predslavych. The company organized an acting studio and courses in directing. For a year and a half it toured the Bila Tserkva and Uman areas, performing for Red Army units and public audiences; from April to July 1921 it performed in Kharkiv as the ‘Ukrainian State Exemplary Theater’ under the aegis of the People's Commissariat of Education. Kyidramte's repertoire included plays originally performed by Kurbas's Molodyi Teatr theater in 1917–18: Vertep and Ukrainian versions of F. Grillparzer's Weh dem, der lügt, Sophocles' Oedipus Rex, and M. Halbe's Jugend; the first Ukrainian production of William Shakespeare's Macbeth, with Kurbas in his last stage role; C. Goldoni's Mirandolina; Haidamaky (The Haidamakas), based on Taras Shevchenko's poem; Novyi redaktor (The New Editor), based on a story by Mark Twain; plays by Nikolai Gogol, Marko Kropyvnytsky, and one-act études by Oleksander Oles and Stepan Vasylchenko. In July 1921 the company fell apart due to a famine in Kharkiv. 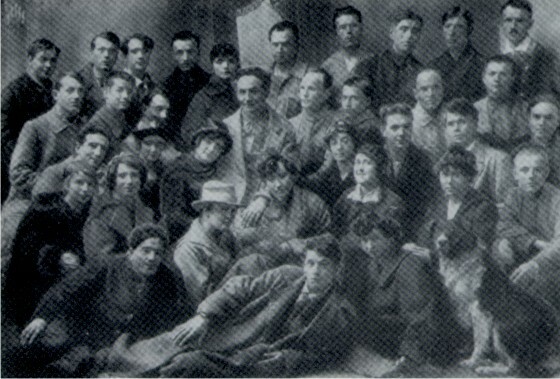 Most of its actors joined Kurbas's new Berezil theater in March 1922.